No discipline is as broad as the “Enduro” segment. The Bikes used here are true all-rounders which can used on the big all day rides to DH level bike park excursions. And that’s what the Black One was built for! The Black One is for the rider who pushes hard on their aggressive trail/enduro bike and needs stiffness, strength and responsiveness to match. We built the Black One stem to be durable, create quick handling and with a wide clamping to provide stiffness while running 760-800mm+ handlebars. 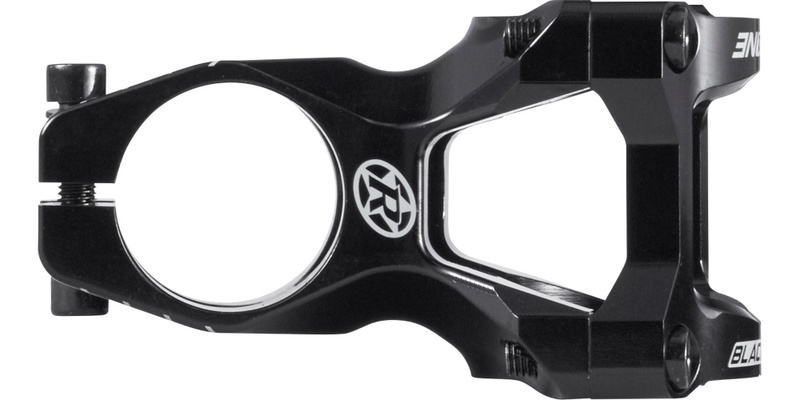 This stem was tested in the toughest fatigue lab test available. Even after hundreds of thousands of load changes in the lab, this stem could not be brought to its limits. In order to take even more load away from the handlebar, we have developed the “Stress Reduction Clamping” (SRC) technology. The most stressed areas are at the transition between stem and handlebar. Especially at the lower gap from the clamping area where there are large loads. The SRC-Technology prevents the normally shown notch effect in this area of concentrated stress because the gap that creates a sharp edge that could crush or indent a handlebar. The gap only exists at the upper clamping area which is essential for the clamping effect. This technology allowed us to create a nearly 360° clamped handlebar with an optimized load transmission and reduced notch effect. Even in the laboratory tests this benefit is clearly demonstrated. Especially for carbon bars we recommend this. 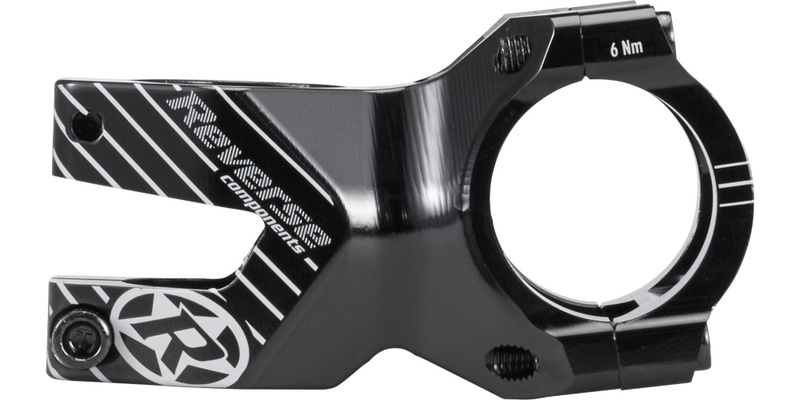 The Black One Enduro weighs in at just 137g still the lightest stem on the market in its class! - Ø head tube: 1,1/8"